Newlite has been designing & building bespoke orangeries for many years and can help you create a new traditional or contemporary orangeries or garden room that will truly bring a new dimension and use of living space. We have transformed countless local homes with made to order orangeries for kitchen extensions, dining rooms, living rooms & studios. Orangeries with quality by design. Let us demonstrate the Newlite experience, design and knowledge to create you the perfect room. Each element of the process is carefully project managed. Our customer service standards are equally high and you will find our approach friendly and caring. We are passionate about our work and will work with you to create a beautiful, functional living space designed and equipped so that you can relax and enjoy it throughout the harshest winters and hottest summers. A Newlite orangery will transform the way you and your family interact & live. Bespoke extensions or standard designs can be created. Bespoke Orangeries from a specialist company. We will work with you on the choice of styles and the finer details offering expert advice and help. Our design consultation if free of charge. 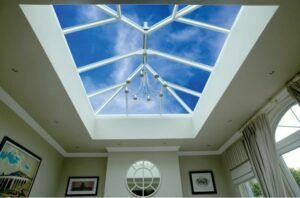 Newlite also specialise in all aspects of the construction of our orangeries and garden rooms from start to finish. So whether you need help with the design and planning, basework, electrical considerations, plumbing or heating, we can help. We can even assist with floor-coverings, patios, paths and general landscaping.